Fiber optic amplifiers re-amplify an attenuated signal without converting the signal into electrical form. Common fiber optical amplifiers include erbium doped fiber amplifiers (EDFA), Raman fiber amplifiers, and silicon optical amplifiers (SOA). 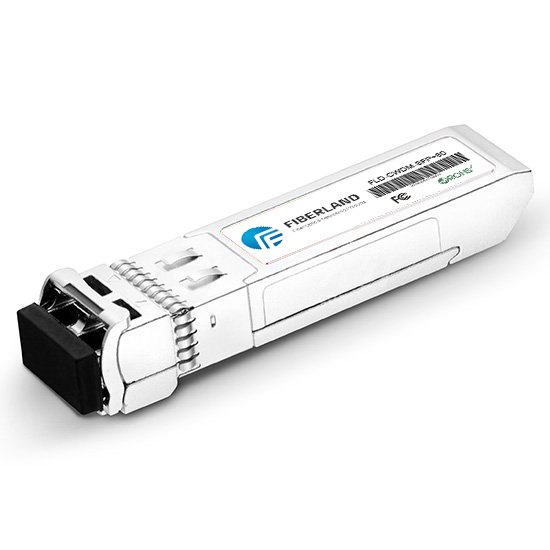 Fiber amplifiers are developed to support dense wavelength division multiplexing (DWDM) and to expand to the other wavelength bands supported by fiber optics. EFDA fiber optic amplifiers function by adding erbium, rare earth ions, to the fiber core material as a dopant; typically in levels of a few hundred parts per million. The fiber is highly transparent at the erbium lasing wavelength of two to nine microns. When pumped by a laser diode, optical gain is created, and amplification occurs. When light is transmitted through matter, part of the light is scattered in random directions. A small part of the scattered light has frequencies removed from the frequency of the incident beam by quantities equal to the vibration frequencies of the material scattering system. Raman fiber optic amplifiers function within this small scattering range. If the initial beam is sufficiently intense and monochromatic, a threshold can be reached beyond which light at the Raman frequencies is amplified, builds up strongly, and generally exhibits the characteristics of stimulated emission. This is called the stimulated or coherent Raman Effect. Silicon or semiconductor fiber optic amplifiers (SOA) function in a similar way to a basic laser. The structure is much the same, with two specially designed slabs of semiconductor material on top of each other, with another material in between them forming the 'active layer.’ An electrical current is set running through the device in order to excite electrons which can then fall back to the non-excited ground state and give out photons. Incoming optical signal stimulates emission of light at its own wavelength. SOA can be classified into two groups, Fabry-Perot Amplifiers (FPA) and Traveling Wave Amplifiers (TWA). The difference is the reflectivity coefficient value of both mirror surfaces. Optics and optical components covers all manner of devices that are used to manipulate or control light. These components either use electrical or electronic means to manipulate light, such as occurs with lasers, diodes, photomultipliers optoelectronic sensors, and fiber optic amplifiers, or they can force the manipulation via material means. This second grouping includes items such as lenses, filters, beam splitters, mirrors, diffusers, plates, prisms, and windows. A subgroup of this category is fiber optics. This grouping includes all products that are used to transmit light via transparent glass or plastic fibers. Items within the optics and optical components category fall into four loose families: light sources, optical components, optoelectronics, and fiber optics. Optical light sources include lasers, diodes, fiber optic amplifiers, and lamps; items that when excited, produce or radiate light. The light produced can be in the visible range (as with diode lasers and laser pointers) or within the infrared (for example, helium neon lasers) or ultraviolet ranges (excimer lasers) of the spectrum.